Here for the first time is the full story of the seashore: its natural and social history, spectacles, and scandals. The turquoise surf and sugary sand of the beach make it a favorite retreat today, but this wasn't always so. The oceans of antiquity engendered contradictory feelings. Greek and Roman myths filled it with bellicose monsters and alluring sirens. Medieval Europeans feared immersion in water. 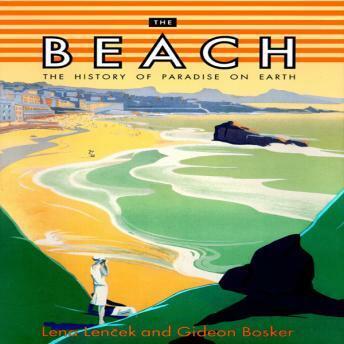 But the rediscovery of its medicinal attractions in the seventeenth century soon glorified the beach as an avenue for social pursuits.In this elegant and illuminating account, Lencek and Bosker chart the evolution of the seaside from the margins of civilization, when "exotic" meant remote and terrifying, to its present role as the center of recreation and escape. Sexuality, health, fashion, sport, beach architecture, and beachwear all have their place in the progression toward the beach resorts that represent Nirvana for the twentieth-century pleasure seeker.